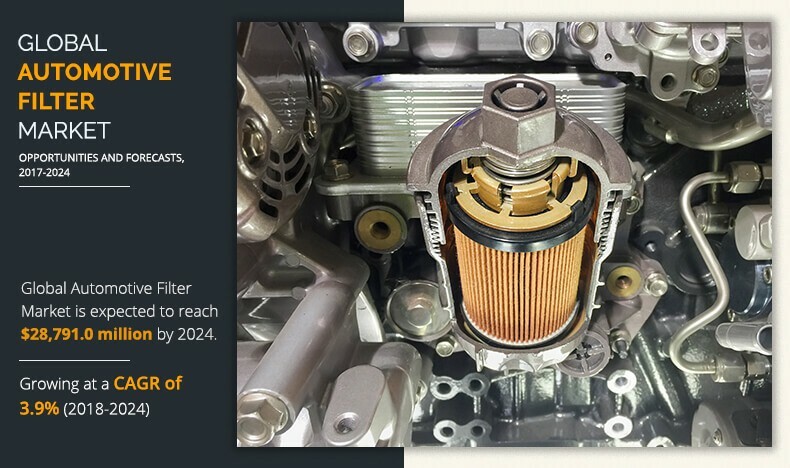 The global automotive filter market is expected to reach $28,791.0 million by 2024 from $22,024.8 million in 2017, and growing at a CAGR of 3.9% from 2018 to 2024. An Automotive Filter helps the engine of a vehicle to operate in a smooth manner, thus extending the service life of the vehicle. The filters key purpose is to eliminate solid dirt particles such as dust, pollen, and other unwanted air particles that reduce the fuel consumption and carbon emission and affect the performance of the vehicle. The growth of the automotive filter market is driven by regulations laid by the government for environmental safety as well as emission standards put forth by the regulatory bodies. However, adoption of electric vehicle hampers the growth of the automotive fuel & oil filter market. On the contrary, an increase in demand for vehicles in the emerging economies is expected to provide lucrative opportunities for this market. MANN+HUMMEL, Toyota Boshoku Corporation, Robert Bosch GmbH, MAHLE GmbH, Denso Corporation, K&N Engineering, Sogefi S.p.A., Hengst SE, ACDelco, Inc., and Valeo S.A. are some of the key players operating in the global automotive filter market. The global automotive filter market is segmented on the basis of filter type, application, distribution channel, and region. Based on filter type, the market is categorized into fuel filter, engine oil filter, engine air filter, cabin air filters, steering filter, and coolant filter. Fuel filter is further bifurcated into diesel filter and gasoline filter. By application, the market is divided into commercial vehicles and passenger cars. Commercial vehicle is subdivided into light commercial vehicle (LCV) and heavy commercial vehicle (HCV). Depending on the distribution channel, the market is fragmented into OEM and aftermarket. Region wise, it is analyzed across North America, Europe, Asia-Pacific, and LAMEA. 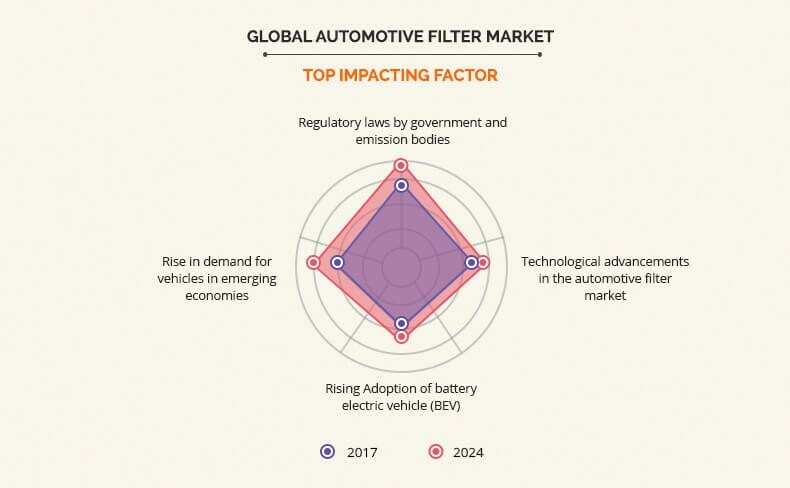 Implementation of regulatory laws by the government towards emission, technological advancement in the automotive filter, rise in adoption of battery electric vehicle (BEV), and upsurge in demand for vehicles in the emerging economies are the significant factors that impact the growth of the Global Automotive Filter Market. These factors are anticipated to either drive or hamper market growth. Automotive filter prevents the entry of dirt particles such as pollens, exhaust fumes, bacteria, and others into the carburetor and engine. This minimizes the air pollutants emitted by vehicles, reduces the maintenance cost, and extends the service life of the vehicle. The government and emission bodies have laid stringent emission laws for the vehicles, which emit hazardous gases such as hydrocarbons (HC), nitrogen oxide (NOx), carbon monoxide (CO), and others. 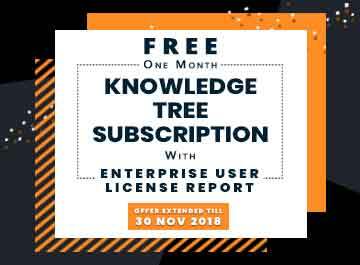 For example, the Environmental Protection Agency (EPA) in the U.S. has amended standards such as national program for greenhouse gas emissions (GHG) and fuel economy standards for light-duty vehicles (passenger cars and trucks). Similarly, German cities are entitled to ban old diesel vehicles according to the European Union rules to reduce air pollution. These factors are expected to propel the overall growth of the global automotive filter market. In recent years, consumers have shifted their preference towards battery electric/plug-in vehicles, due to the fact that these vehicles do not consume fuels such as petrol, diesel, and gasoline. Moreover, low maintenance cost reduces the overall expense, thus boosting the demand for battery electric vehicles, which in turn drives the growth of the automotive filter market. According to the statistics provided by the German Federal Motor Transport Authority, 61% increase has been registered in the sales of plug-in EVs in 2018 as compared to the preceding year. Similarly, 124% increase has been recorded in the sales of battery electric vehicles, whereas the sales of traditional non-plug-in hybrids grew up to 70%. As these electric vehicles do not use any kind of fuel or oil, the need for oil & fuel filters is eliminated, which is expected to hamper the oil & fuel filter market growth. This report studies the global automotive filter market with current trends and future estimations to portray the imminent investment pockets. Automotive filter prevents entry of pollutants such as pollens, exhaust fumes, bacteria, and others into the carburetor and engine. This minimizes the air pollutants emitted by vehicles, reduces the maintenance cost, and improves the vehicle life. By filter type, engine oil filter was the dominant segment in 2017, and is anticipated to continue this trend during the forecast period. In addition, by application, passenger car led the market in 2017. By distribution channel, OEM segment is anticipated to witness the highest growth rate during the forecast period. Asia-Pacific accounted for the majority share of the automotive filter market in 2017, owing to rise in demand for passenger cars.